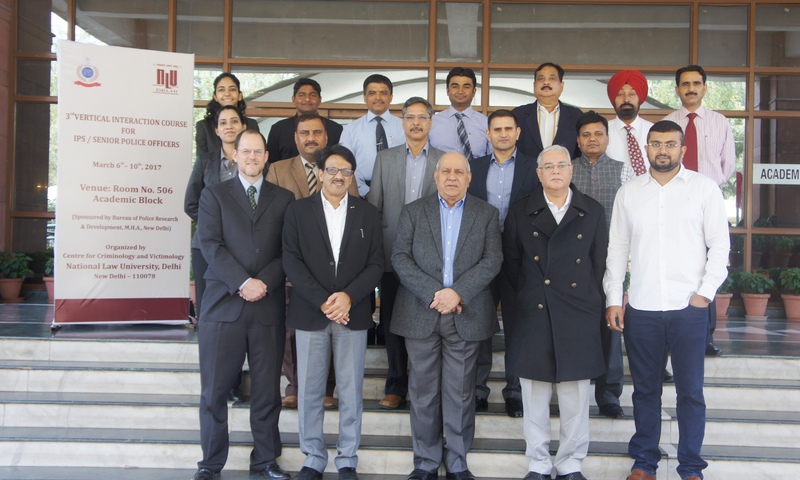 The Center for Corporate Law and Governance, National Law University, Delhi conducted a GIAN course on European Competition Law from Sept 11-15, 2017. The course was conducted by Prof. Dr. Bernd Oppermann, Dean, Faculty of Law and Chair for German, European and International Private Law and Commercial Law at Law of Faculty,Leibniz University Hanover, Germany. The course was co-taught by the coordinator of the course Prof. Dr. Harpreet Kaur who gave the comparative Indian position on the subject. The course was of one credit and had 10 hours of teaching and included 10 hrs of tutorials. It was well received and attended by 26 outside NLUD participants and 22 NLUD participants. The course was followed by two hour written examination for the purpose of credit transfer. A three day mini-course on Private International Law was conducted by the Centre for Transnational Commercial Law (CTCL) at National Law University, Delhi under the aegis of National Academy of Law Teachers (NALT) from September 11-13, 2017. NLUD has established a National Academy of Law Teachers (NALT) to improve quality of teaching and research. It provides training in the areas like entry level orientation, curriculum development, teaching and learning, research and innovation, ICT and digital research. In furtherance of this aim, Prof. Symeon C. Symeonides, Dean Emeritus & Alex L. Parks Distinguished Chair in Law at the Willamette University College of Law, Salem, Oregon, USA was invited to take a course on Comparative Private International Law. Students, research scholars, academicians and law teachers from the reputed institutions across the country and faculty members from NLU Delhi participated in the course. The course was divided into 9 sessions over three days covering interesting areas like Choice of law in Tort Law and Contract law conflicts, Unilateralism and Multilateralism, Dilemma between ‘conflicts justice’ and ‘material justice‘ etc. A comparative perspective was provided by covering the approaches adopted by the United States, EU as well as India. The program was Coordinated by Dr. Risham Garg, Assistant Professor and Director, Centre for Transnational Commercial Law, who also discussed the relevant cases & legal position from India. In the inaugural program, the Vice-Chancellor, Prof. Dr. Ranbir Singh, outlined the initiatives undertaken by the NLUD in furtherance of imparting high quality & contemporary learning, teaching & research skills through the NALT programs. He also brought out the importance of the subject of Private International Law in the present times. Delivering the vote of thanks, the Registrar, Prof. (Dr.) G.S. Bajpai expressed his gratitude to Prof. Symeonides for having come all the way from the USA to teach this course. The course was neatly & precisely fitted into lecture modules which was greatly appreciated by the participants. 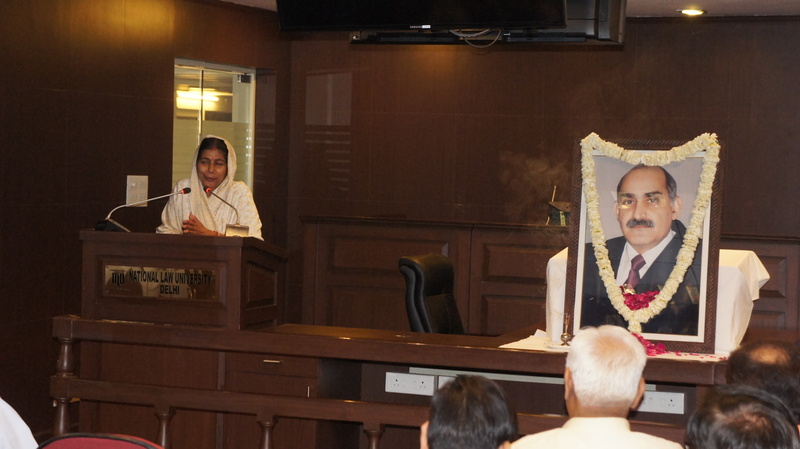 Prof. Ghanshyam Singh Memorial Lecture by Ms. Santosh Yadav on the topic of “Motivating Youths for Personality Development and Social Transformation” dated April 01, 2017 At Justice Y. K. Sabharwal Moot Court Hall. The Centre for Criminology & Victimology at National Law University, Delhi (NLUD) organized a Five Days Vertical Interaction Course on 'Victimological Application to Police and Criminal Justice Administration' dated March 6-10, 2017 for IPS/ Senior Police Officers in collaboration with Bureau of Police Research and Development (BPR&D). During the Course of the program 17specialized lectures by specialized professionals were conducted. The course was directed by Prof (Dr.) G.S. Bajpai, Registrar and Chairman of Centre for criminology & Victimology at National Law University, Delhi. The program was coordinated by Mr Sidharth Dahiya, Assistant Registrar, National Law University Delhi.